Below you fill find all funeral homes and cemeteries in or near Carlisle. Suburbs of Carlisle: Avon, Avon Lake, Palmyra, Scotch Ridge. Their current mayor is Mayor Ruth Randleman. Zip codes in the city: 50047. Some of the notable people born here have been: (russell s. doughten), (ron randleman), and (robert h. lounsberry). 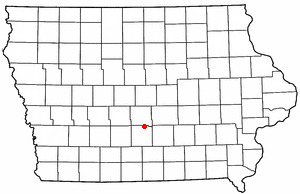 Carlisle is a city in Warren and Polk counties in the U.S. state of Iowa. The population was 3,876 at the 2010 census. The city is part of the Des Moines–West Des Moines Metropolitan Statistical Area.The city received considerable media attention in 1997 when Carlisle residents Kenny and Bobbi McCaughey (pronounced "McCoy") became the parents of the world's first surviving set of septuplets. It was disclosed by Des Moines Register on March 13th, 2019 that David Oehler perished in Carlisle, Iowa. Oehler was 58 years old. Send flowers to express your sympathy and honor David's life. It was reported by Des Moines Register on February 24th, 2019 that Donald Edward Hall passed away in Carlisle, Iowa. Hall was 91 years old. Send flowers to express your sorrow and honor Donald Edward's life. It was revealed by Register Guard on February 5th, 2019 that John Parsons Fry passed on in Lane Co, Oregon. Fry was 89 years old and was born in Carlisle, IA. Send flowers to express your sorrow and honor John Parsons's life. It was revealed by Des Moines Register on January 4th, 2019 that Carolyn Joanne Luick passed away in Carlisle, Iowa. Luick was 92 years old. Send flowers to express your sorrow and honor Carolyn Joanne's life. It was written by Des Moines Register on December 6th, 2018 that Kenneth L Eaton perished in Carlisle, Iowa. Eaton was 67 years old. Send flowers to share your condolences and honor Kenneth L's life. It was revealed by Des Moines Register on November 28th, 2018 that Margaret Anne Umphress (Gilleran) passed away in Carlisle, Iowa. Ms. Umphress was 93 years old. Send flowers to express your sympathy and honor Margaret Anne's life. It was disclosed by Des Moines Register on November 24th, 2018 that Bob Headley passed on in Carlisle, Iowa. Headley was 73 years old. Send flowers to express your sorrow and honor Bob's life. It was reported by Des Moines Register on November 6th, 2018 that Richard "Skip" Jones passed on in Carlisle, Iowa. Jones was 82 years old. Send flowers to express your sympathy and honor Richard "Skip"'s life. It was disclosed by Des Moines Register on August 11th, 2018 that Loraine Martin passed away in Carlisle, Iowa. Martin was 77 years old. Send flowers to express your sympathy and honor Loraine's life. It was noted by Des Moines Register on August 1st, 2018 that Allen Wayne Beery passed on in Carlisle, Iowa. Beery was 65 years old. Send flowers to express your sorrow and honor Allen Wayne's life. The Rock Island went bankrupt in 1979 and the Chicago and North Western Railroad acquired the main line. Carlisle’s original downtown was located on Market Street between 1st and 3rd Street but with the coming of the railroad in 1871, it was moved to its present location along School and First Streets. The first industry in the area was the Parmelee Lumber and Flour Mill which was built in 1843 at the foot of Watts Hill on the Middle River just east of Carlisle and operated into the 1870’s. The Keeney Hoover mill was established near the original highway ford on the North River in the 1840’s. McKissick Brick and Tile operated on the west side of the tracks from 1908 to 1930 and Carlisle Brick and Tile operated on the east side of the tracks from 1936 into the 1960’s. Peterson, Jon - Peterson Funeral Home, Carlisle, IA : Reviews and maps - Yahoo! Local, 515.989.3510. Get Ratings, Reviews, Photos and more on Yahoo! Local. The finest roses, gifts and Mother's Day flowers delivered fresh. Serving Carlisle, Iowa, surrounding suburbs and the entire country. We work with local florists and flower shops to offer same day delivery. You will find budget sympathy flowers in Carlisle here. Our funeral flowers are cheap in price but not in value.